The WUCOLS team is in the process of supplementing the database with photos and cultural information for 1,200 low-water use taxa and updating the database search functions to improve the effectiveness for public use. For any issues that arise during the process, please contact dwfujino@ucdavis.edu. Water conservation is an essential consideration in the design and management of California landscapes. Effective strategies that increase water use efficiency must be identified and implemented. One key strategy to increase efficiency is matching water supply to plant needs. By supplying only the amount of water needed to maintain landscape health and appearance, unnecessary applications that exceed plant needs can be avoided. Doing so, however, requires some knowledge of plant water needs. WUCOLS IV provides evaluations of the irrigation water needs for over 3,500 taxa (taxonomic plant groups) used in California landscapes. It is based on the observations and extensive field experience of thirty-six landscape horticulturists (see the section "Regional Committees") and provides guidance in the selection and care of landscape plants relative to their water needs. The WUCOLS project was initiated and funded by the Water Use Efficiency Office of the California Department of Water Resources (DWR). Work was directed by the University of California Cooperative Extension, San Francisco and San Mateo County office. The first edition of the guide was completed in 1992. A second edition was published in 1994, and a third edition in 1999. In each new edition, additional species were evaluated and included. The 4th edition (Costello, L.R. and K.S. Jones. 2014. WUCOLS IV: Water Use Classification of Landscape Species. 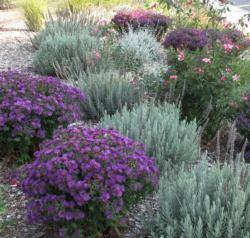 California Center for Urban Horticulture, University of California, Davis. http://ucanr.edu/sites/WUCOLS/) represents a substantial expansion in the number of plant evaluations. Over 1,500 entries have been added to the 3rd edition list, for a total of 3,546 entries. Essentially, the great majority of taxa available from wholesale nurseries in California are included. Unlike the 3rd edition, the 4th edition includes evaluations of many cultivars and hybrids. For a number of species (e.g., Ceanothus spp. ), water needs of cultivars were thought to be sufficiently different than water needs of the species and were evaluated separately. In addition, a number of cultivars do not have a specific epithet, such as Erysimum ‘Bowles Mauve’, and the species from which it is selected is not obvious. Hence, only the cultivar could be listed. In addition, a number of species evaluations made in previous editions were revisited by the regional committees. If the committees believed that the evaluation of plant water needs should be changed (raised or lowered), it was changed. In some cases, a “?” was replaced by VL, L, M, or H (see the section “Categories of Water Needs”). As a result, users should be aware that species assignments from WUCOLS I, II, or III may not be the same as those found in WUCOLS IV. If you are using the WUCOLS list for the first time, it is essential that you read the User Manual. The manual contains very important information regarding the evaluation process, categories of water needs, plant types, and climatic regions. It is necessary to know this information to use WUCOLS evaluations and the plant search tool appropriately. To access the User Manual, click on the tab (on left) and view specific topics.